Ah, the air is crisp, the leaves are falling, and all is good in the world when you have a warm drink in your hand (preferably a pumpkin spice latte!). Halloween is such a magical time of year. Spirits are high and it’s important to make sure your home is feeling just as festive as you are. Decorating for Halloween doesn’t have to be ghosts and goblins, it can be done in a very tasteful yet fun way too. 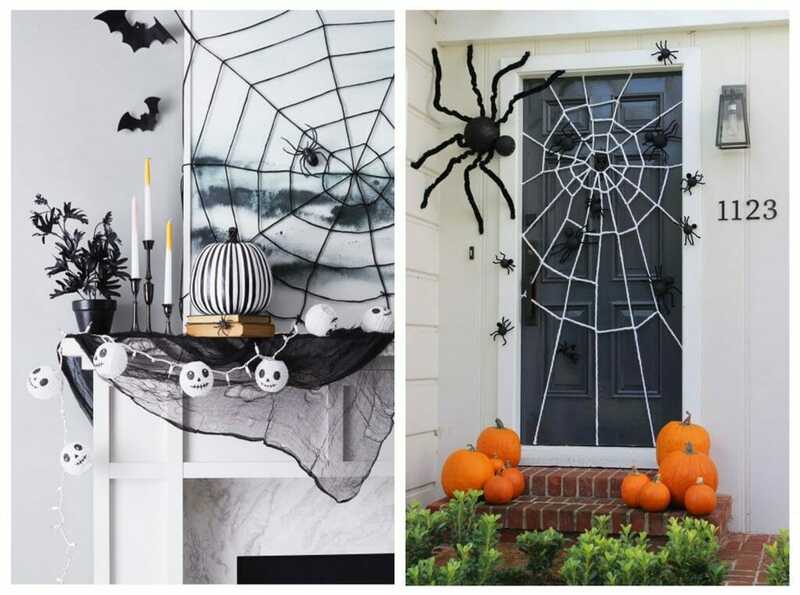 We’ve gathered our favorite Halloween decor trends we’ve been seeing this year and to say we’re in love is an understatement. Can it be Halloween all year?! 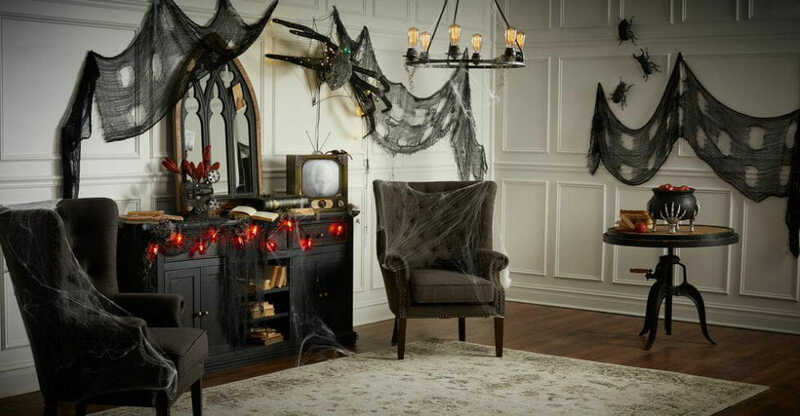 Check out Decorilla Designer’s tips and tricks below to amplify your homes Halloween spirit. Many families have the tradition of carving pumpkins. Why not start a new tradition? 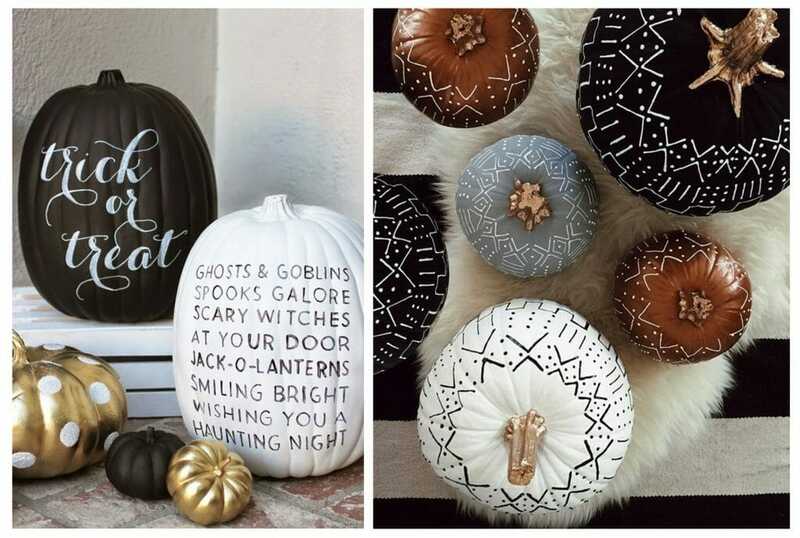 We’re loving this super fun Halloween decor trend of painting pumpkins! It’s a great way to subtly incorporate the holiday without being to literal with it. Paint a variety of pumpkins in the color scheme of your space. They’ll blend in, but are sure to be noticed by guests. On the other hand, there is no reason to limit the paint to neutral colors, feel free to use those familiar colors of Halloween to paint your masterpiece, whatever it may be! 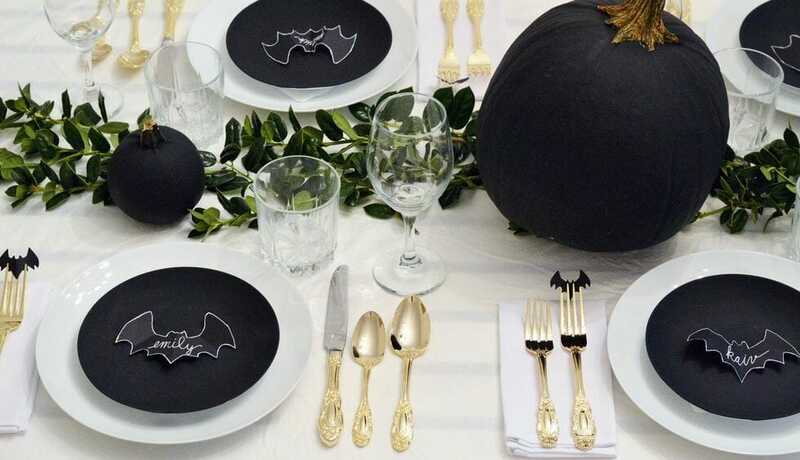 Another great way to utilize the painted pumpkin Halloween decorating is when hosting a Halloween themed dinner party. Simply paint mini pumpkins with the guests name and incorporate it to the place setting. 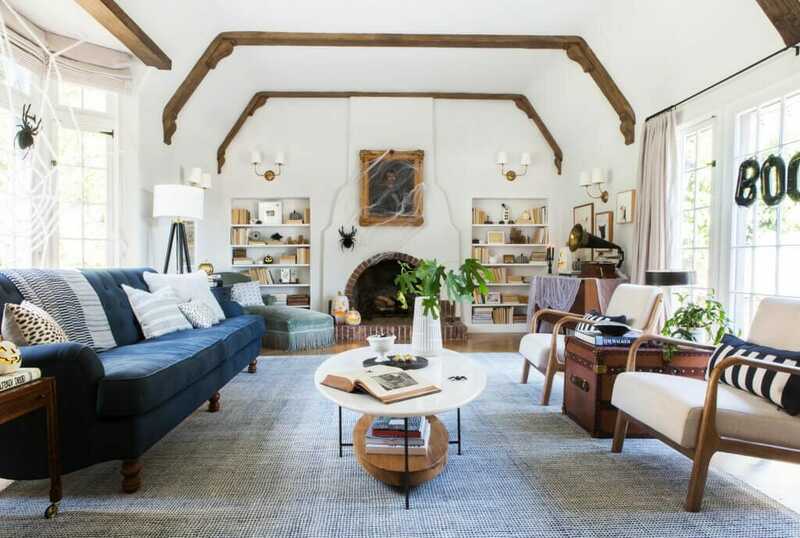 This fun decor trend doesn’t just stop at paint. Get out your glue gun and the possibilities are endless. 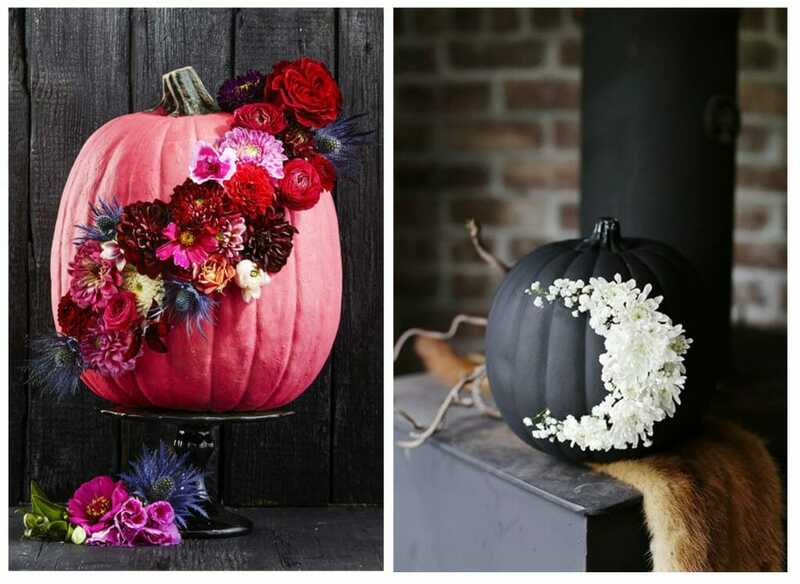 How fun is the pink pumpkin with the gorgeous flowers. Simple, subtle patterns like the crescent moon pictured above the brain associates with Halloween. The best part about this trend? One, it’s very inexpensive to DIY and two, if you decorate real pumpkins vs. faux ones you can change the design every year! Just like you used to carve pumpkins as a kid. 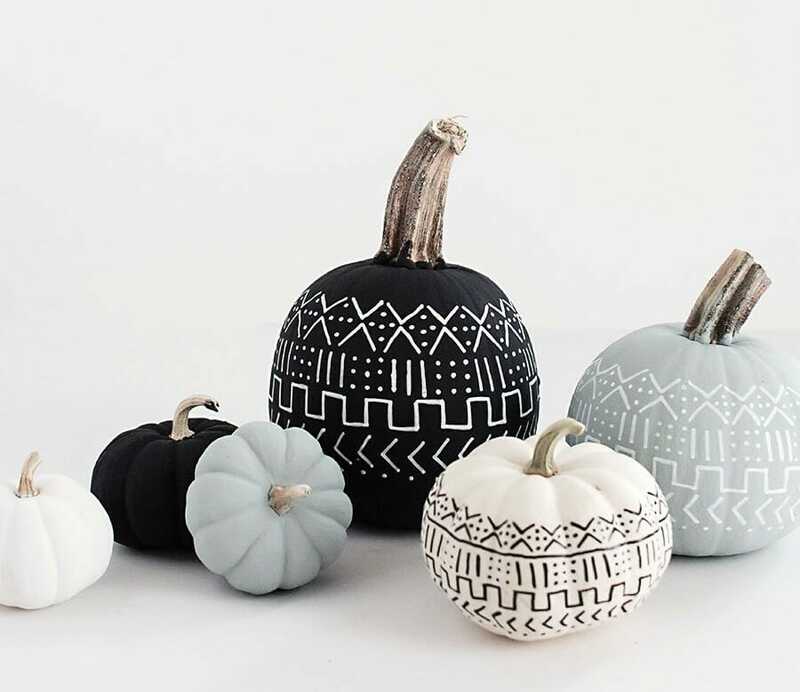 A few DIY painted pumpkins can really spice up your Halloween decorating and tablescape design! Recently, we featured a blog post about how to incorporate natural decor into your home. In the blog it discusses all the various benefits of keeping plants inside your home. 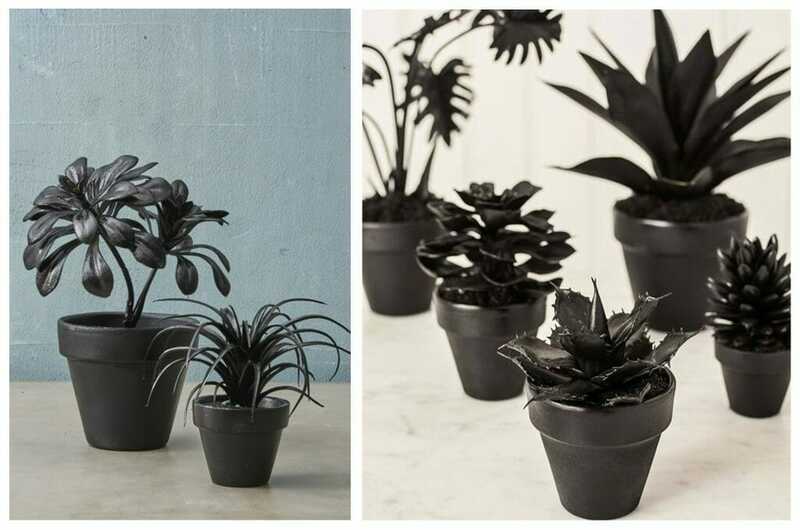 Just because it’s time to get the Halloween decor out doesn’t mean the house plants have to go away for the season. 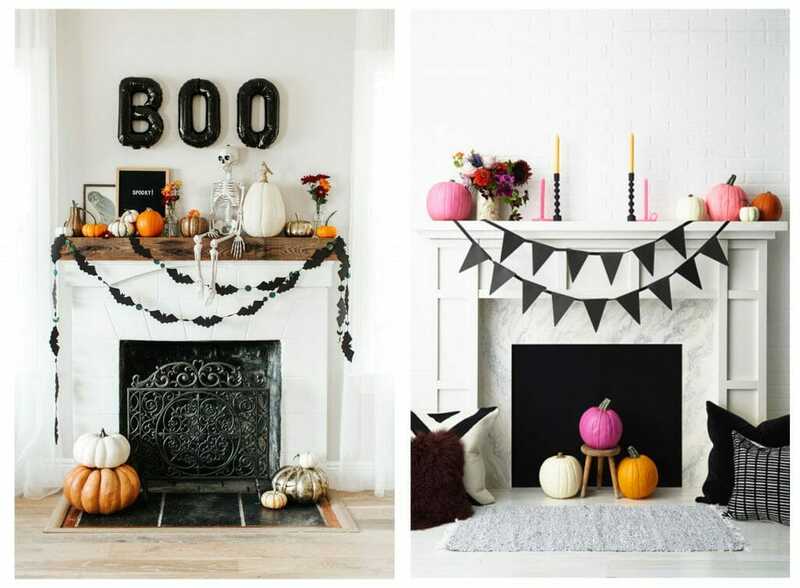 That’s why we love this Halloween decor trend. It’s a great way to incorporate the subtle touch of the season. It looks great to keep the pumpkins in their natural color, which could easily be used all the way into Thanksgiving depending on how long your pumpkin lasts. 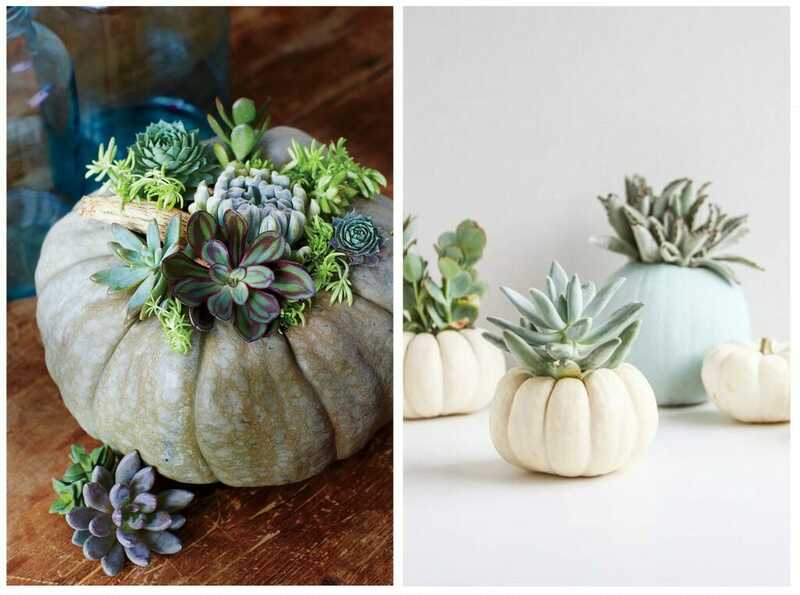 Try incorporating this with the last trend and paint the pumpkins before planting in them. Succulents in a pumpkin not quite spooky enough for you? Try spray painting inexpensive faux plans all black. Want to be even spookier? Try adding some faux spider web. The dollar store is a great place to find some great supplies for the DIY decor maker. If you’re lucky enough to have a mantle to decorate in your home use that to your advantage to create a great focal point. 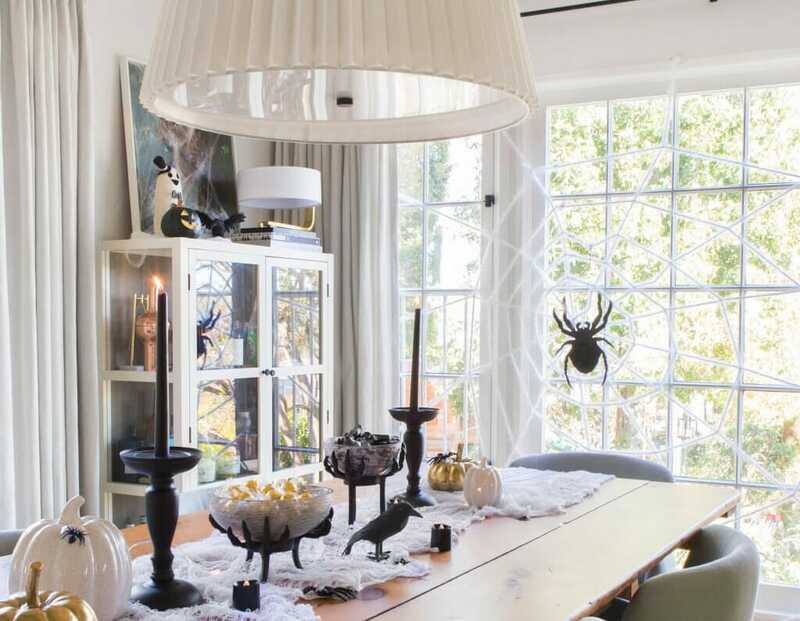 We love the Halloween decor trend of adding a simple, loosely draped garland to draw the eye. These two photos are a great example that your home can look equally as festive even without using the colors of the holiday. 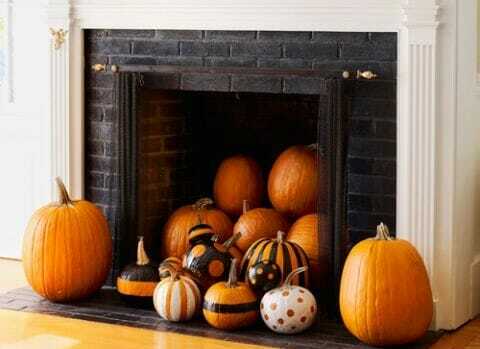 We’re also loving the trend we are seeing of pumpkins being stacked in front (or inside) the fireplace. We couldn’t help but feature how designer Emily Henderson decorated her home utilizing this larger than life Halloween decor trend. The over sized spider web is a great way to make a statement without too much hassle and frustration. We all know how frustrating it can be putting up the spider web in a bag we’re all used to. Floor to ceiling a little too much holiday spirit for you? No worries, we’ve got you covered too. Seen in a much smaller scale on the mantle the spider web still makes a statement and gives your wall the spooky feel you’re looking for. Another great example can be seen on this front door. Your guests and not to mention trick-or-treaters are sure to be wowed when they walk up to ring your doorbell. 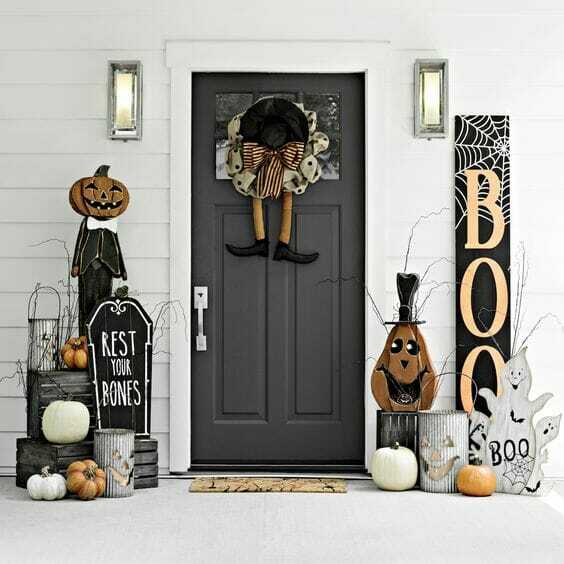 While the inside of your home is important, don’t forget to think about your front porch to be sure to offer those trick-or-treaters something fun to look at on Halloween night. It works well to decorate in layers and use boxes, etc. to create height. This festive gathering is a great family friendly option sure to please every age group. A more simple, less cluttered look we’re seeing as a Halloween decor trend is stacked pumpkin “topiaries”. 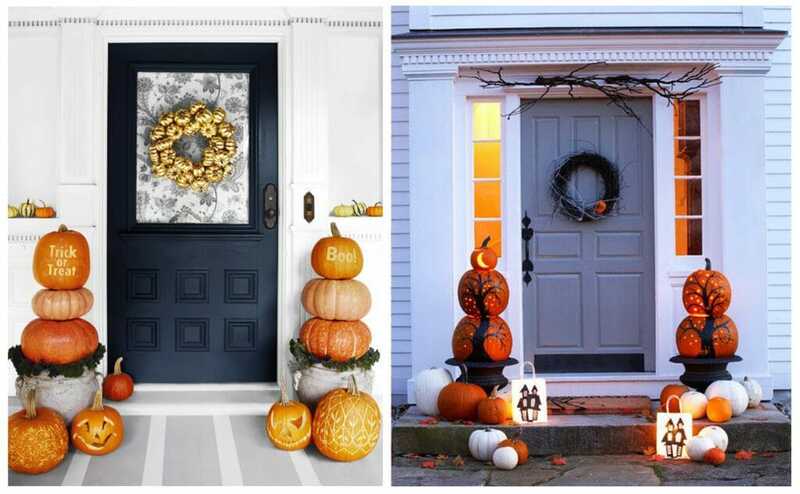 They’re a great way to show off those pumpkin crafts you’ve been practicing and make the front of your house look welcoming and inviting. 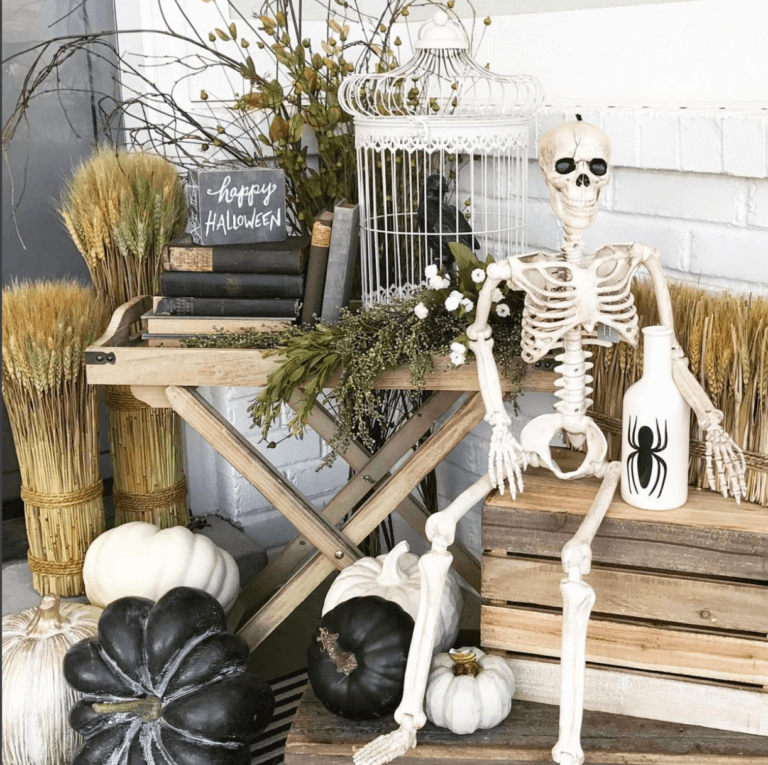 We’re really loving all the fun Halloween decorating trends we’re seeing this fall and hope we’ve been able to inspire you to incorporate some into your own home. Need more help than just decor? Start a project with one of our Decorilla online interior designers today!